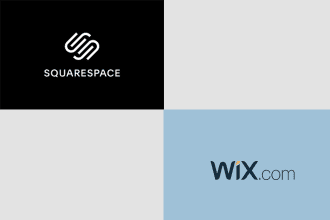 Wix vs. Squarespace: Which to Choose? Wix and Squarespace are the two of the biggest names you’ll come across when looking for ways to make a simple website for your business or service. Both platforms offer sleek and innovative ways for easily building a website using its drag-and-drop editors. Both platform offer great-looking website templates. And the platforms are widely recognized for its tech and customer support. At first glance, Wix and Squarespace look so similar that it’s difficult to make a decision and choose the right platform to make your website. We’re here to make that decision-making process a bit easier for you. In this post, we’ll tell you why one of the platforms is better than the other. Wix is a website builder that targets all kinds of businesses from restaurants to freelancers, photographers, hotels, agencies, and more. The platform offers an impressive selection of website templates, more than 500 templates to be exact, that make it easier to build almost any type of a website. Wix also includes many other features that make it an all-in-one solution for building a professional website. One of the special features of Wix that deserve special attention is Wix ADI. This is a new AI-powered technology Wix introduced to automate the whole process of making websites. With this technology, Wix is capable of designing the website for you. All you have to do is select a few options and themes related to your business and the Wix ADI automatically generates a website design suitable for your business. You can then customize the colors, fonts, and customize the website details to match your brand. Of course, you’ll still be able to choose whether to use this technology or build a site from scratch. When building your new website, Wix will prompt to ask whether you want to use Wix ADI or not. Wix also has features for experienced web designers and developers as well. Wix Code is an impressive feature that lets you build advanced websites with complicated functions or even build web apps using the platform’s drag and drop editor. With Wix Code you can easily manage website content, create dynamic pages that are easier to update, create databases to store user input data, and much more. It’s Free: Wix comes with a free plan. This makes it easier to test its features or even make a simple website for yourself, which you get to keep. More Than 500 Templates: You’ll have plenty of choices when it comes to choosing a design for your website. Wix ADI: Complete beginners with no prior web design experience can use the AI-powered website builder to instantly make a website. Build Advanced Websites: Wix offers many solutions for building more complicated websites and web apps, which makes the platform a great solution for freelance web developers as well. Wix comes with a forever free plan with Wix-branded ads. To use a custom domain name, you’ll have to subscribe to the $4.50 a month plan. You can get rid of the Wix brand ads and get a free domain with a bunch of other features when you subscribe to the $8.50 a month plan. Squarespace is one of the first platforms to offer cloud-based website building tools that provided a beginner-friendly experience for setting up a website with zero web design experience. In a way, Squarespace’s success is what inspired others to come out with their own website builders. 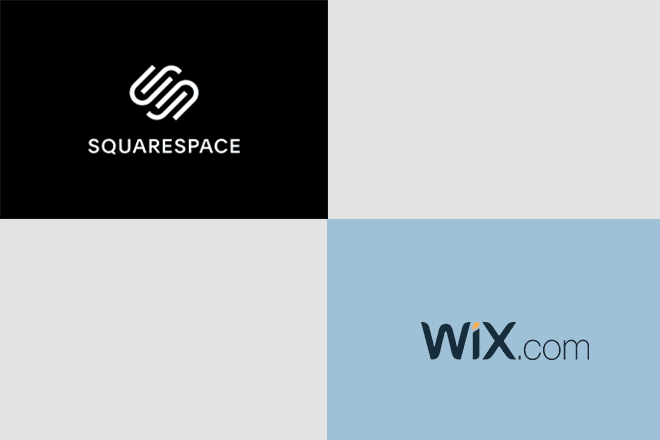 Similar to Wix, Squarespace can also be used to make websites for all types of business and individuals. The platform offers a variety of, yet limited, website templates for setting up a website with ease. Squarespace uses its own custom-built WYSIWYG editor (What You See Is What You Get) that features a selection of robust tools and features for building a website by simply dragging and dropping elements onto a canvas with live previews. The editor uses a technology called LayoutEngine that brings a whole set of advanced features to the website builder as well. These include support for markdown, automatic text wrapping and image scaling, fully responsive page designs, and code blocks for inserting custom code into a design. 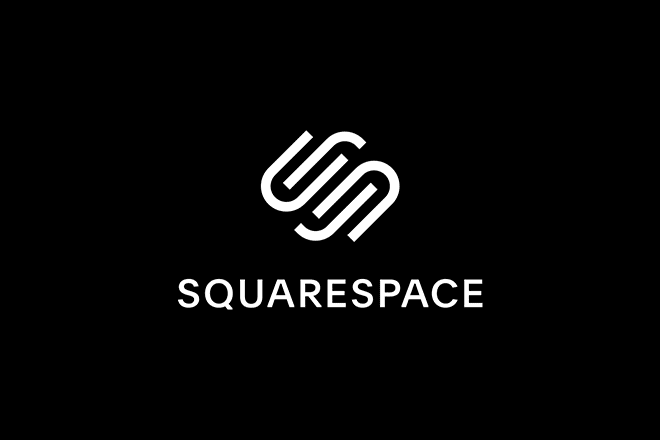 Unlimited Hosting: Unlike Wix, Squarespace doesn’t have caps on storage. You get unlimited storage and bandwidth with all plans. Email Campaigns: Squarespace offers a built-in system for building an email list and sending branded email campaigns to your subscribers. Powerful Website Manager: Squarespace website manager allows you to grant access to multiple contributors to help you manage the website more easily. Mobile Apps: You can also manage and update your website using any mobile design thanks to Squarespace mobile apps. Squarespace offers 2 different pricing plans for small businesses and for eCommerce businesses. The pricing plans for small businesses include $12 a month and $18 a month. For online stores, the pricing starts at $26 a month and $40 a month. Both include unlimited products, on-site checkout systems, and more. Squarespace used effective marketing to promote the brand for many years. But, it seems like the company has simply given up on the development of new features and templates to provide a better service to its clients. In comparison, Wix recently came out with amazing new features like Wix ADI and Wix Code and has a selection of refreshed website templates with modern designs. Plus, Wix offers the most affordable pricing plans suitable for different sizes of businesses and individuals. Considering these reasons, we recommend you go with Wix to design your website. Since Wix offers a free forever plan, you can easily test its features and see if it suits your needs.